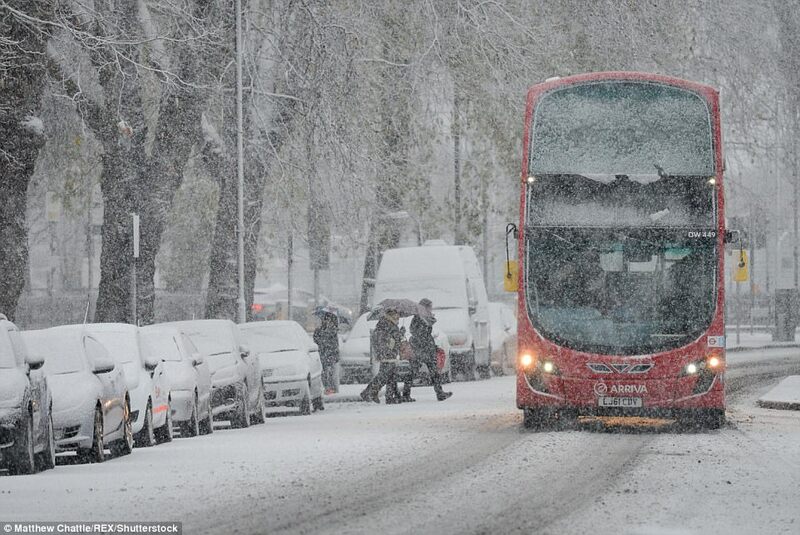 The UK grinds to a halt, as usual, when it suffers its coldest night of the winter so far. Temperatures dropped to -15 deg C (5 deg F) in Scotland in the early hours of Thursday, making it the coldest night of winter in the UK so far. The coldest place in the country was Loch Glascarnoch in the Highlands. The Met Office has upgraded its warning for snow in Wales, south-west and south-east England, including London, from 14:00 to 21:00 GMT on Thursday, with 3-7cm of snow forecast. Some delays and cancellations to rail travel Rural communities could be cut off Power cuts are likely and other services, such as mobile phone coverage, could be affected Snow is forecast overnight into Friday, with totals of up to 15cm (6in) possible in some parts of Wales. In southern England, there could be 3-7cm (1-3in) of snow. It will run its "winter weather timetable" on Friday - with passengers warned of peak services being busier than normal because of changes to some train times. England, Wales and Northern Ireland also recorded their lowest temperatures of the winter so far - with Redesdale, Northumberland, falling to -10.4C (13.3F), Sennybridge, Powys, dropping to -9.3C (15.3F) and Magilligan, County Londonderry, falling to -8.5C (16.7F). Snow and freezing conditions are forecast to continue into the weekend as Scotland prepares to shiver tonight through what is expected to be the coldest night of the winter so far.